In Europe, Norway is the largest consumer of electric vehicles with 50% of the market share for new vehicle registrations. In contrast, new registrations of electric vehicles only rose moderately in 2018 across Germany, where the market share went up from 1.6 to 2.0 percent—a low value compared to other countries. The CAM is only forecasting moderate growth of 33% in Germany for 2019, amounting to 90,000 new electric vehicles registered. Far behind China, the U.S.A. is the second largest market for electromobility. The sales figures for electric vehicles rose by 86% in 2018 when compared with the previous year. Yet, what do these very different regional developments mean for car production and its suppliers? In China, customers can, for example, choose from nearly 100 different models of electric vehicles, where Chinese suppliers clearly dominate in this respect. According to the McKinsey Electric Vehicle Index (EVI), in Europe, every other electric car is a plug-in hybrid—a significantly greater share than in Asia. About 250 new models of electric cars have been announced worldwide for release by the end of 2019. In his study “Das Automobil im Jahr 2025. Vielfalt der Antriebstechnik” (The car in 2025. Diverse drive technologies. ), Prof. Dieter Schramm (Director of CAR—Center Automotive Research) comes to the conclusion that the combination of combustion engines and electric drives, as well as the use of alternative fuels, will lead to an extremely high diversity in drive technology variants in the coming years. This diversity in different drive systems will be a major challenge for vehicle manufacturers and suppliers. How do you manage this diversity of products in drive technology and increasing production volumes in manufacturing? The combination of processes to reduce cycle times has primarily established itself in hard machining of transmission components. Grinding has always been the classic hard metal cutting process. On the one hand, the process is relatively safe, i.e. the risk of producing rejected pieces is very low. This is particularly important for components at the end of the process chain, since a large part of the added value has already been transferred to manufacturing. On the other hand, grinding guarantees high surface quality, which is an absolute necessity for transmission components to guarantee long service lives. The long cycle time required for grinding is in stark contrast with that required for hard turning. Therefore, it did not take long for development engineers from machinery manufacturers to come up with the idea of combining both technologies to achieve faster cycle times and improved surface quality. The advantages are evident: When there’s only a small amount of material to be removed through grinding after turning, grinding wheel specifications can be precisely targeted for the desired final surface quality. The benefits are a shorter cycle time and reduced tool wear—a classic win-win situation. The pinnacle then is combining both technologies in a single machine to eliminate any positioning errors. To achieve this, everything must really fit together: a (thermally) stable machine structure, high-precision axis control and obviously a flexible design of the machine compartment so that it may be configured for different workpieces and thus also for different machining strategies. The VLC 200 GT from EMAG offers all of this. The VLC 200 GT was primarily developed with the focus on the production of transmission gears – with the hard turning and grinding processes are combined. 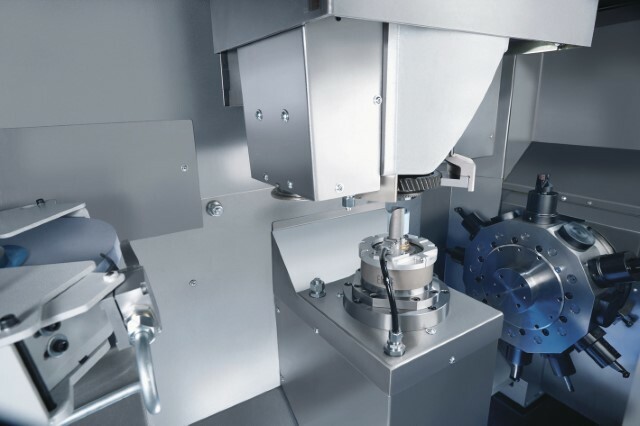 Allowing for the complete hard machining to be performed in one single clamping operation. The VLC series covers a broad spectrum of machining technologies to achieve this: turning, drilling, milling, gear hobbing, hard and soft machining—everything that is required to build a comprehensive manufacturing lines. The complete process chain for manufacturing transmission components—from blank to finished component—can thus be implemented with VLC machines. 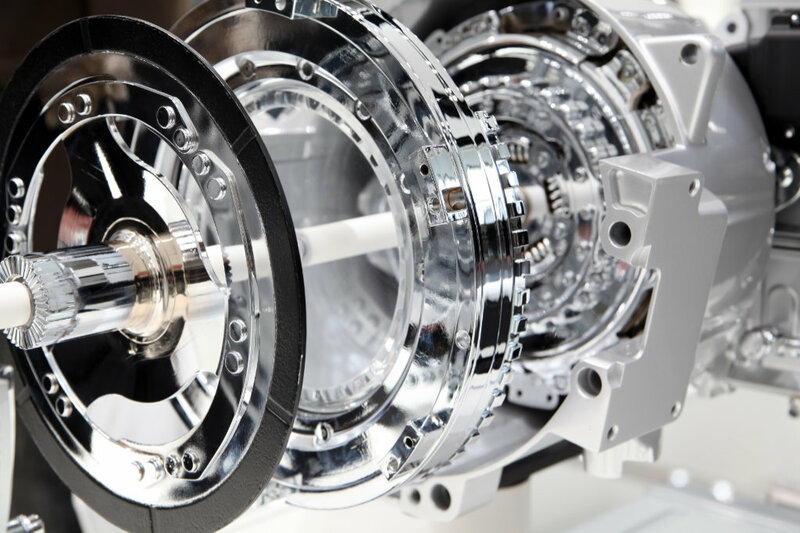 Many studies show that hybridization and electrification of drives will prevail, but that combustion engines will still have its place in the market for many years to come. 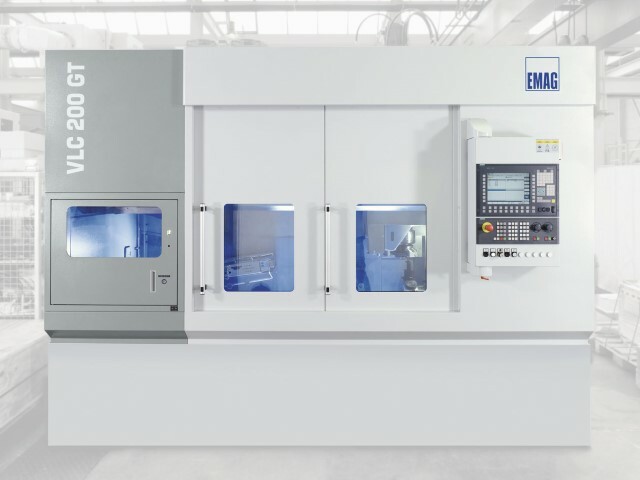 EMAG’s various machining technologies and manufacturing systems will help to meet the challenges of product diversity and increasing production volumes in manufacturing.